High Peaks Yoga Tree is a yoga studio nestled in the heart of the Adirondack Mountains in Lake Placid, New York. We offer a variety of yoga classes, workshops and trainings led by the best yoga instructors in the North County. Come visit us for an Aprés Ski Yoga class in our consciously-designed space filled with thoughtful amenities. Inspired by outdoor mountain adventure, High Peaks Yoga Tree studio has the conveniences and comforts you need to come to your yoga mat and discover your power and purpose. Come experience the best of yoga + wellness that Lake Placid has to offer. W e l c o m e OM. Our studio is being crafted with love to offer a cozy, elevated space for both locals and visitors to experience unique yoga classes taught by some of the best instructors in the North Country. Holding onto the magic of yoga, our classes will take your yoga practice to a higher place with a renewed sense of focus and strength. Every yoga class is your chance to become your most powerful self. Lake Placid is a winter wonderland! Our studio is conveniently located on Main Street on the second floor of High Peaks Cyclery. Park in the lot and follow the signage to our sacred studio space. 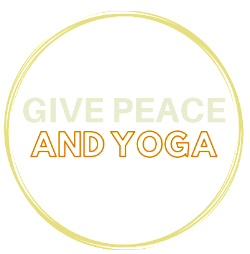 Share YOGA JOY with family and friends! A gift certificate is a perfect way to spoil a friend, co-worker or loved one. Buy them a gift certificate in any denomination online or at the studio. If you purchase online you have the ability to email the recipient immediately, the perfect last minute gift. Guarantee your mat in class - SIGN UP ONLINE! Register for your Mind Body online account! For your convenience you are welcome to sign up for classes and workshops ahead of time through our website! 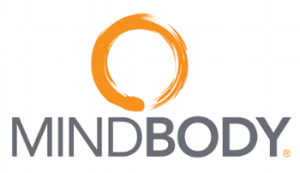 You only need a your own “MINDBODY” account. Classes are open to all levels. Questions about which class is right for you, contact us or link to class descriptions for more information.